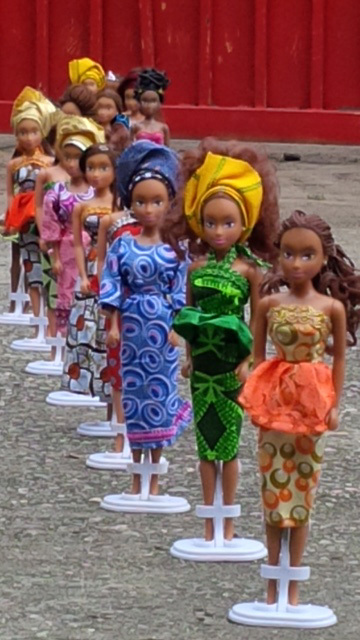 “Queens of Africa” dolls take on Barbie in Nigeria. It’s a question I have posed plenty of times. Why don’t black people take over the black doll market? I did an Article about Nicki Minaj getting a Barbie Doll done for her, which I thought was outrageous. Why not simply go to a black doll company or start one and reap in even more profits? I suppose that even in Africa of all places, there is a shortage of being able to find black dolls. 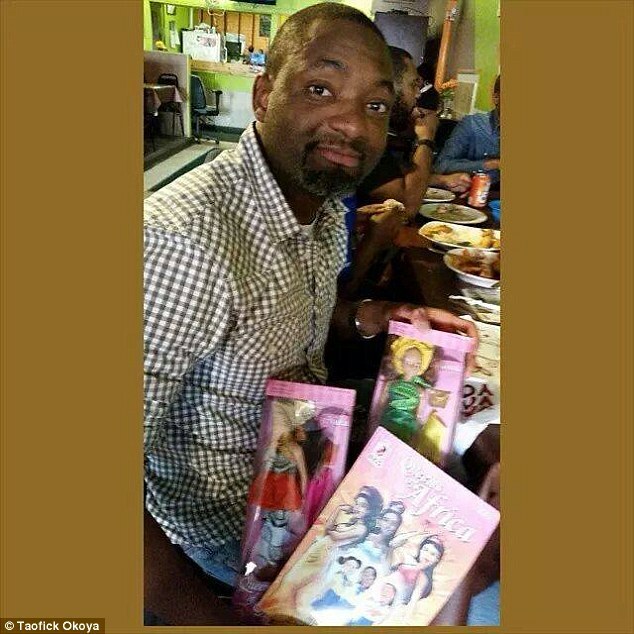 Taofick Okoya was frustrated and fed up with the fact that he could not find black Barbie dolls for his niece, so he created his own line of black dolls that is outselling Barbie in Nigeria. “I happen to be the kind of person that doesn’t enjoy complaining and criticizing without taking any action,” the 43-year-old businessman said in an interview with ELLE.com. Okoya began researching how he could make a doll that Nigerian girls could identify with. 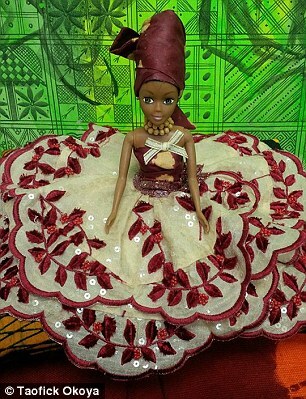 He wanted the doll to possess traits that African girls could identify with such as skin color and traditional African fashion. 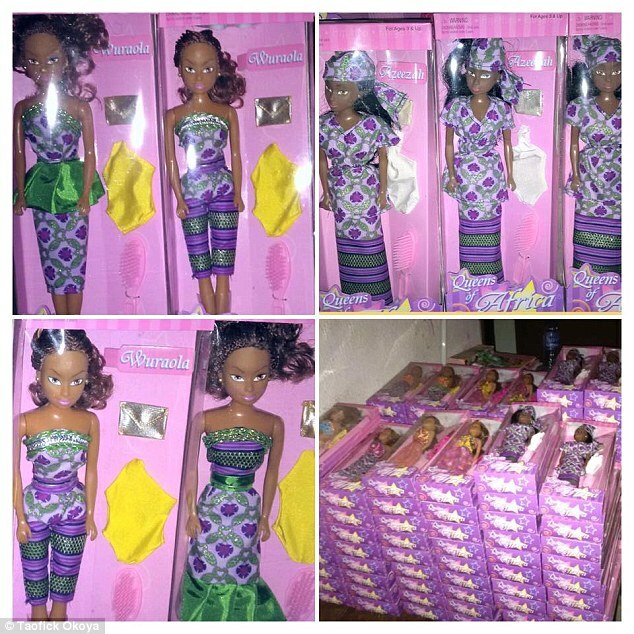 Okoya created two lines of dolls, Queens of Africa line of dolls comes with 3 outfits, four accessories and cost 1,300 to 3,500 naira which is equivalent to about $6.75 to $18.18. Naija Princesses (which come with two outfits, two accessories, and cost 500-1,000 naira, or $2.60 to $5.19). Okoya actually manages to sell 6,000 to 9,00 dolls a month. According to Reuters reports, that’s equivalent to 10-15 percent of Nigeria’s toy market. After Nigeria, he says that the greatest demand for his dolls come from America, Brazil, Europe, the Ivory Coast and then South Africa. Even after his great success, Okoya still doesn’t feel like his brand has made it yet. His higher ambition is for his doll to reach the hands of every child of African descent all over the world. Though some may think his aspirations are too ambitious, I couldn’t agree with this philosophy any more myself. It’s sort of what propels us to keep making Nubian Planet better and keep it growing. Our ambition is to unite as many Nubian black people together on social media as possible, so that we can create a network among people of color to start more investments, job opportunities, businesses, keep money thriving among African Americans and all Nubian people of the world. We are past the point to establish a social network that is created by black people and for black people. Facebook and Twitter do not provide a community that caters to black people. Black people need to learn to stop using what is provided by white people and start investing in ourselves, or there will be no progress. Competing With Barbie Head On! I don’t believe Mattel sees the Nigerian market as a priority, yet their product has great influence on the psyche of the children here and affirms certain values contrary to our society. My mission is to make the Queens of Africa [what Barbie isn’t to Africans] a symbol of hope, trust, and confidence by promoting African history, culture, and fashion. What these dolls are meant to do is “subconsciously promote African heritage,” according to the company’s mission statement. What Okoya realized as a father is that with even being fully involved in his daughter’s life, as a parent, he only has about 40 percent direct influence on his daughter’s life. The remaining 60 percent comes from outside sources that are beyond his full control. [These] were mostly subliminal and had a longer lasting impact on her [that] was somewhat out of my control. Even though we live in Nigeria, there was a lot of Western influence, which might have been responsible for her wishing she was white. It made me aware that I needed to make her proud and happy being a black African girl, and not limit it to her alone as this was a common trend among the younger generation. The Queens of Africa became a platform to achieve this. 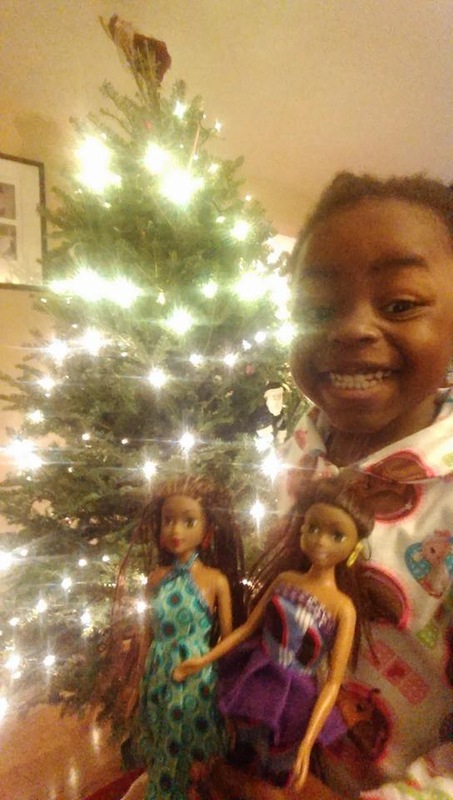 Okoya intends to take his dolls global so that every girl of color across the world can play with one of his dolls and feel proud and beautiful about who they are. Truly, the need for black dolls was and is a needed thing. Almost as important as black social networking among African Americans and people all over the world of Nubian or African descent. Mattel doesn’t care too much about creating a variety of dolls for the African American or black people of the world. 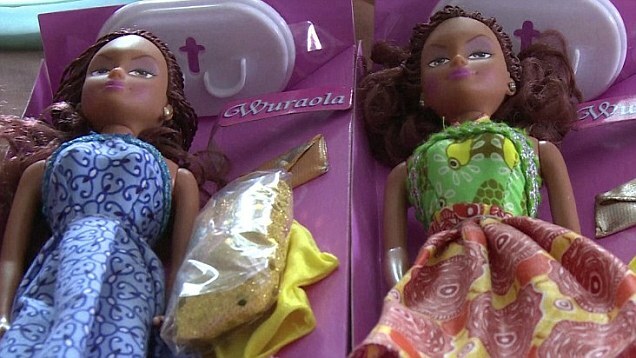 Now we have a doll company that caters specifically to people of African descent. You can be apart of the black doll movement and help prove them wrong. 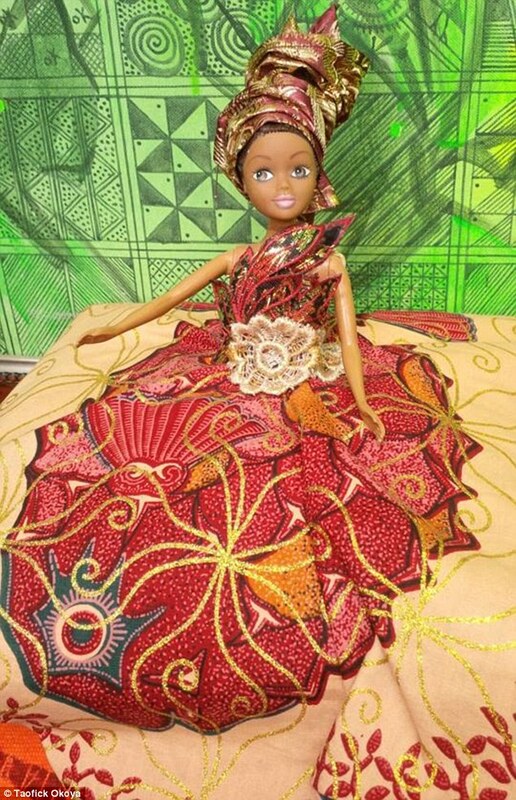 If you want to give your daughter or niece an African doll that she can be proud of, then you can order a doll online today! The real sad thing is that he can only go privatized in America. They won’t let his product compete with Barbie, cause they want our children to continue to by Barbie dolls.